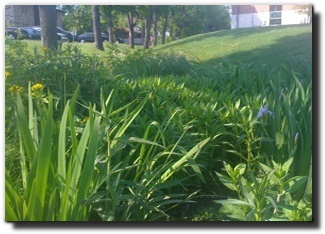 Initially installed in 2006, the garden was expanded in 2008, through the Root Pike WIN rain garden grant program. These photos are from May, 2010. 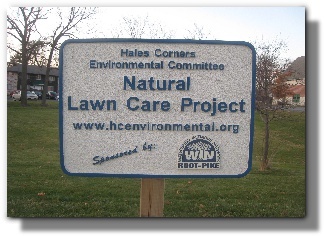 The Rain Garden is located at the Hales Corners Fire Station at 11000 W Forest Home Ave. and is open to the public. 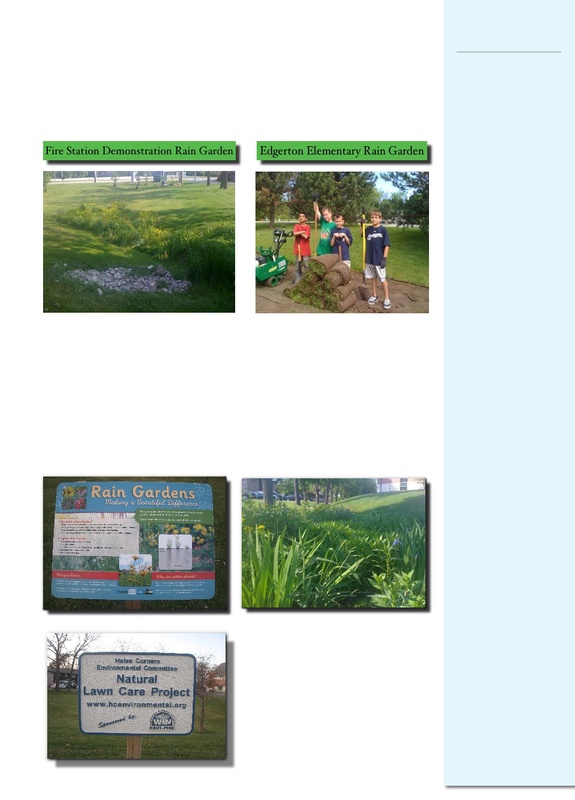 There is an interpretive sign next to the sidewalk which provides some detailed information about rain gardens. 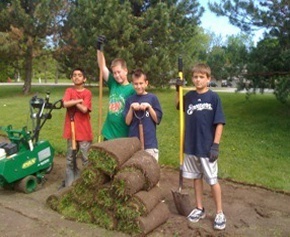 Student helpers during the installation of a new Rain Garden in June, 2009 at Edgerton Elementary School located at 116th & Edgerton Ave. and is open to the public. 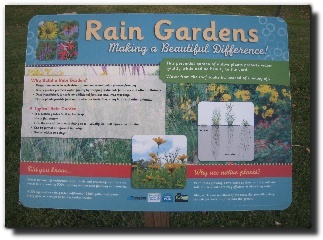 Rain gardens soak up rain from roofs, driveways, sidewalks, or yards. They are slightly different from typical flower gardens. They are planted with wildflowers and deeply-rooted native vegetation, which helps the ground soak up more water. Typically, they are placed near downspouts on a home to capture water so runoff can gradually soak into the ground. 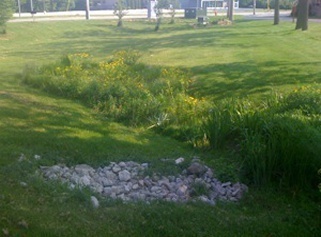 According to the DNR, rain gardens can absorb 30% more water than a conventional lawn.